This entry updates the central argument in "The Muslim Claim to Jerusalem," that Jerusalem's religious standing in Islam depends on political needs. 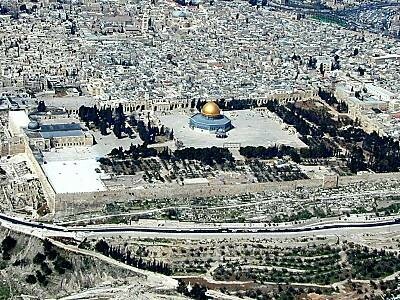 An aerial view of the Temple Mount. cannot usually come to Al Aqsa, and the closure prevents even the 3 million Palestinians from the Gaza Strip and the West Bank from coming to Jerusalem. Those remaining, aside from the Arabs of Jerusalem, are the Israeli Muslims, and they have taken upon themselves the historic role of defending the Islamic holy places in the city. The Al Aqsa Association of Sheikh Raid Salah from Umm al-Fahm, the principal Muslim leader in Israel, has for years been carrying out the restoration and renovation in the mosques of the Temple Mount. Hundreds of Muslims from Israel come on the weekends to work as volunteers at the mosques. The Islamic Movement also funds some of the transportation of Israeli Arab worshipers to Al Aqsa. although the Islamic holy places in Jerusalem are only in third place in terms of religious importance (after Mecca and Medina, located in Saudi Arabia), politically, they are in first place. This fact has received particular emphasis during the past year, since the failure of the Camp David summit in July 2000. During those talks, when the final status of Jerusalem and the Temple Mount was discussed between then Israeli prime minister Ehud Barak and PA Chairman Yasser Arafat and their associates, Israeli demands for sovereignty or some hold on the Temple Mount came up for the first time. Since then, Muslim spokesmen in general, and Palestinians in particular, have tried to deny any Jewish connection to the holy place. An article from the "Palestine Post," Nov. 20, 1949. (2) This is as good a time as any to recall the Arab states' reluctance to take control of Jerusalem back in November 1949; note the accompanying clipping from the Palestine Post of Nov. 20, 1949. It makes for a striking contrast to the current "Muslim Zionism." May 15, 2002 update: In "Constructing a Counterfeit History of Jerusalem," I note burgeoning Palestinian attempts to deny any Jewish connection to Jerusalem. June 21, 2002 update: The Scotsman informs us that the Al-Maktoun Institute for Arabic and Islamic Studies officially opened last month at the University of Abertay in Dundee. The institute has three research centres, one of which is "The Centre for Islamic Jerusalem Studies," said (unsurprisingly) to be the only institution in the world offering an M. Litt course in Islamic Jerusalem Studies. Aug. 5, 2003 update: An Egyptian government weekly, Al-Qahira, issued by the Ministry of Culture, published an article by one of its columnists, Ahmad Muhammad 'Arafa, "Was the Prophet Muhammad's Night Journey to Palestine or Medina?" in which 'Arafa doubts that the Isra' was to Jerusalem. Aug. 19, 2003 update: Two weeks later, the intrepid Ahmad Muhammad 'Arafa questions the sanctity of Jerusalem in Islam. I discuss this at greater length in "The Prophet's Night Journey to Jerusalem." Nov. 26, 2003 update: Ghazi Y. Khankan, executive director of CAIR's New York office, writes a public letter to George W. Bush today listing ten reasons "why Jerusalem and Palestine are of the utmost importance to 1.2 billion Muslims in the world." One of them, for example, is a hadith that "Jerusalem's area of Al-Aqsa Mosque and Masjid Al-Haram in Makkah will be connected together at the end of time." May 18, 2004 update: In "Why Jerusalem is Not Holy to Muslims," Leah Bat-Chaim makes arguments similar to mine. "The Mission" follows a standard game show format, with contestants quizzed about history, literature, geography, science and the arts. But at least half the questions revolve around Palestinian or Islamic history, and at least one contestant is usually Palestinian. ... Some questions do focus on the men who carried out suicide operations. "The martyr Amar Hamoud was nicknamed 'The Sword of All Martyrs?' - true or false?" was one recent question. True. Mr. Abi Nassif, who never fails to address the subject of recapturing Jerusalem in his patter, went on to describe the man's exploits. The prizes are not huge. Players who reach five million Lebanese pounds, or something over $3,000, earn the chance to double their winnings with one "golden question" worth the same amount. When the winner gains the 60 points necessary to reach Jerusalem, the song that is a staple of Hezbollah parades booms out. "Jerusalem is ours and we are coming to it," the chorus says in part. Jun. 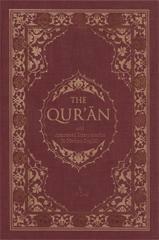 25, 2004 update: In The Qur'an, trans. by M.A.S. Abdel Haleem (Oxford: Oxford University Press, 2004), p. 175, the translator identifies "the furthest place of worship" in footnote b as "In Jerusalem." "Despite rhetoric to the contrary, the [Jordanian] government decided to relocate central ministries left from the mandate period to Amman at Jerusalem's expense. In a memo to the prime minister, Anwar Nusayba, member of parliament for the Jerusalem region, complained of discrimination toward the city." (p. 87). Jan. 4, 2006 update: I dramatize today one of the implications of this article at "Offer: $1 million for Finding "Jerusalem" in the Koran." Hassan Khader, founder of the "Al-Quds Encyclopedia." June 6, 2006 update: "The Muslim use of Zion represents a more powerful force today than the Jewish love of Zion" concludes my article today, "Muslim Zionism," an edited verion of an award speech given in Jerusalem a week earlier. Sep. 16, 2006 update: Ra'ad Salah, Israel's most radical Islamist leader, told 50,000 demonstrators at a rally yesterday in Umm al-Fahm that Israel's occupation of the Temple Mount will end soon and Jerusalem will becomne the capital of an Islamic state. For good measure, he added that former prime minister Ariel Sharon and current president Moshe Katsav (currently under investigation for alleged sexual misbehavior) are "paying the price" for the damage they did to Al-Aqsa Mosque. 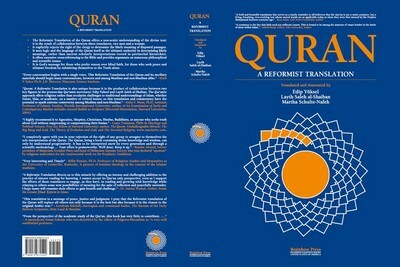 Ali Ünal, The Qur'an: with Annotated Interpretation in Modern English. Jan. 1, 2007 update: In The Qur'an: with Annotated Interpretation in Modern English, by Ali Ünal (Somerset, N.J.: The Light, 2007), p. 565, the translation of 17:1 reads "from the Sacred Mosque in Makkah to the Masjid al-Aqsa in Quds (Jerusalem)." Footnote 2 compounds the error by stating that "This surah was revealed in Makkah at a time when the Prophet's Mosque in Madinah had not yet been built and the Ka'bah was full of idols; therefore the Muslims turned to that Masjid in Jerusalem for their prayers." The Prophet's Mosque had not yet been built but Al-Aqsa had been? How interesting. in early 1990, a Muslim Brotherhood veteran, Sheikh Muhammad al-Ghazali, declared that once the Jerusalem Aqsa mosque was lost it would be the turn of the Ka'ba [in Mecca]. May 21, 2007 update: New Saudi currency shows Al-Aqsa Mosque on one side of a note and the Dome of the Rock on the other. To the Muslims it is not Jerusalem, but a certain site in Jerusalem which is venerated ... the majestic Dome of the Rock. To a Muslim there is a profound difference between Jerusalem and Mecca and Medina. The latter are holy places containing holy sites. Apart from the hallowed rock, Jerusalem has no major Islamic significance. Glory be to the One who took His servant by night from the Restricted Temple to the most distant temple. Quran: A Reformist Translation, translated and annotated by Edip Yuksel, Layth Saleh al-Shaiban, and Martha Schulte-Nafeh..
What's so interesting here is that the translators understand masjid not in its technical Islamic meaning of mosque but in its generic pre-Islamic sense of temple. That conceptual breakthrough makes good sense to me. I am not a Qur'an scholar and therefore am not in a position to judge the accuracy of your translation, and especially not the revisionist understandings of some controversial ayats. But I can say that the effort you and your colleagues have undertaken is very much in keeping with my sense of the process of modernization that the Qur'an itself and the Islamic religion more broadly must undergo. As such, I salute your work and hope it will be published and extensively discussed both in the United States and abroad. Oct. 12, 2007 update: Comes news that, in anticipation of the U.S.-sponsored Annapolis meeting, the "Palestinians Want Western Wall as Part of Any Settlement." Adnan al-Husseini, adviser to Palestinian Authority leader Mahmoud Abbas on religious affairs, says the PA wants "full control" over Jerusalem. "The Wailing Wall is a Muslim waqf [mortmain], and therefore cannot be abandoned." Dec. 11, 2007 update: It's not clear when Harun Yahya (a pen name used by the Turkish writer, Adnan Oktar) wrote "Muslim Palestine," but it appears to date from late 2001. It offers the original argument that Jerusalem ought to be under Muslim control because, "In contrast to Jews and Christians, Muslims have made their regard for the sacredness of Palestine an opportunity to bring peace" to the city. Indeed, "peace and harmony lasted as long as Muslims ruled." we would be well advised to make it clear to the Jordanian Government ... that we are not prepared to allow them to treat the Old City of Jerusalem as though it were nothing more than a provincial townlet in Jordan, without history or importance." Wasserstein notes that the Palestinian nationalist focus on Jerusalem was one reason for its neglect and demotion by the monarchy. His reference to Muslims drinking wine, which is forbidden in Islam, infuriated the host. Rian wagged his finger in the air and said excitedly, "If you want to talk about history, you cannot erase Jerusalem from the Koran, and don't attack the Muslim religion if we want to continue talking." Dr. Kedar replied, "Jerusalem is not mentioned even once in the Koran. Jerusalem is a Jewish city." The Al Jazeera host responded by quoting a verse from the Koran in which he thought Jerusalem was mentioned by name, but stopped in the middle upon realizing that it only refers to "the farthest place." Dr. Kedar: "Jerusalem is not mentioned in the Koran even once. You can't rewrite the Koran on air on Al Jazeera." This denial of the historical, spiritual and archeological connections of the Jews to the Temple Mount is something new. There was always talk about the Temple of Solomon in Jerusalem - called the "praise of Jerusalem" – in Arabic literature, in Islamic literature. This new idea of Temple denial is due to the Arabic fear of Jewish aspirations connected to the Temple Mount. It is part of something I call the "cultural intifada." In the Washington, DC think tanks surrounding President Bill Clinton, it was understood that the Temple Mount was the crux of the problem of the Middle East conflict. These think tanks decided that if there could be "split sovereignty" on the Temple Mount, then split sovereignty could also be achieved over the entire land of Palestine. So they suggested that in a future agreement, the Temple Mount would be split horizontally. That is to say that whatever is above ground, the part that includes the shrines of the Muslims, would be under Palestinian sovereignty. Whatever is underground, which would include the remnants of the Temple of the Jews, would be under Israeli sovereignty. It's a brilliant idea, an excellent idea, but totally idiotic from a practical point of view. You cannot have a building standing with its foundations in another country. You cannot have a building with the infrastructure and the plumbing in another country. And you cannot have sovereignty on the subground without having accessibility to the subground, because the accessibility is from above ground. The whole thing was stupid. Sep. 15, 2008 update: Following his Al-Jazeera appearance (see the June 4, 2008 update, above), Bar Ilan University's Mordechai Kedar has written an article, "The myth of al-Aqsa: Holiness of Jerusalem to Islam has always been politically motivated," in Yedi'ot Aharonot. His argument closely follows the once I have been making since 1997. He begins by noting the small importance of Jerusalem to Muhammad after the qibla was changed to Mecca. Only in 682, when Ibn az-Zubayr rebelled against the Umayyad rulers in Damascus and conquered Mecca, did the Umayyad caliph, who needed an alternative site for the pilgrimage, settle on Jerusalem which was under his control. To justify this change, Koran 17.1 was reinterpreted to refer to Jerusalem. Kedar then considers the difficulties with placing "al-masjid al-aqsa" in Jerusalem. The second difficulty is that Islamic tradition tells us that al-Aqsa mosque is near Mecca on the Arabian Peninsula. This was unequivocally stated in "Kitab al-Maghazi," a book by the Muslim historian and geographer al-Waqidi. According to al-Waqidi, there were two "masjeds" (places of prayer) in al-Gi'irranah, a village between Mecca and Ta'if - one was "the closer mosque" (al-masjid al-adna) and the other was "the further mosque" (al-masjid al-aqsa,) and Muhammad would pray there when he went out of town. This description by al-Waqidi which is supported by a chain of authorities (isnad) was not "convenient" for the Islamic propaganda of the 7th Century. In order to establish a basis for the awareness of the "holiness" of Jerusalem in Islam, the Califs of the Umayyad dynasty invented many "traditions" upholding the value of Jerusalem, which would justify pilgrimage to Jerusalem for the faithful Muslims. Thus was al-Masjid al-Aqsa "transported" to Jerusalem. It should be noted that Saladin also adopted the myth of al-Aqsa and those "traditions" in order to recruit and inflame the Muslim warriors against the Crusaders in the 12th Century. Kedar then interprets current events in this light, seeing that Yasir Arafat "did exactly what the Califs of the Umayyad dynasty did 1300 years ago: He marshaled the holiness of Jerusalem to serve his political ends." Kedar argues that because "the holiness of Jerusalem to Islam has always been, and still is, no more than a politically motivated holiness," Muslim leaders are limited in what they can do. Indeed, one who showed flexibility on this issue "would be putting his political head on the block should he give it up." Must Judaism and Christianity defer to myths related in Islamic texts or envisioned in Mohammad's dreams, long after Jerusalem was established as the ancient, true center of these two religions, which preceded Islam? Should Israel give up on its capital just because some Muslims decided to recycle the political problems of the Umayyads 1250 years after the curtain came down on their role in history? Nov. 2, 2008 update: For scholarly background on the historic Jewish connection to Jerusalem, see Rivkah Fishman-Duker's survey of ancient Greek and Roman pagan authors dating from the third century BCE to the third century CE, for all of whom "Jerusalem definitely was a Jewish city." The article is at "'Jerusalem: Capital of the Jews': The Jewish Identity of Jerusalem in Greek and Roman Sources," Jewish Political Studies Review 20:1-2 (Fall 2008): 119-40. The quotes in turn can be found at Menahem Stern, Greek and Latin Authors on Jews and Judaism (Jerusalem: Israel Academy of Sciences and Humanities, 1980). all these attempts will fail. The [Temple Mount] is 100 percent Muslim. The world must be mobilized against all these Israeli attempts to change the symbols and signs of Jerusalem. There is nothing Jewish about Al Aqsa Mosque. There was no so-called Jewish Temple. It's imaginary. Jerusalem is 100 percent Muslim. The Arab world is called to interfere to stop the Israeli plans in Jerusalem, to stop the Israeli attempts to create a Jewish character to Jerusalem and Al Aqsa mosque. Also to the Old City, which is the first step in the war to defend Jerusalem and Al Aqsa. They are competing against time in order to create facts on ground in the surrounding the imaginary Temple. The site is one of the oldest in the world. Its sanctity dates from the earliest (perhaps from pre-historic) times. Its identity with the site of Solomon's Temple is beyond dispute. This, too, is the spot, according to the universal belief, on which "David built there an alter unto the Lord, and offered burnt offerings and peace offerings." This is a vast substerranean [sic] chamber ... Little is known for certain of the early history of the chamber itself. It dates probably as far back as the construction of Solomon's Temple. According to Josephus, it was in existence and was used as a place of refuge by the Jews at the time of the conquest of Jerusalem by Titus in 70 A.D. Comment: This pamphlet builds on an extensive Islamic literature in Arabic about the Jewish Temple. For one example translated into English, see As-Suyuti's The History of the Temple of Jerusalem, translated by James Reynolds (London: A.J. Valpy, 1836). Jan. 22, 2009 update: Ibn Taymiya's anti-Jerusalem got an airing in my original article; I now learn that a key work of his on this subject, Qa'ida fi Ziyara Bayt al-Muqaddas, was published, with commentary, by Charles D. Matthews in "A Muslim Iconoclast (Ibn Taymīyyeh) on the 'Merits' of Jerusalem and Palestine," Journal of the American Oriental Society, 56 (1936), pp. 1-21. Comment: Ibn Taymiya has been the single most important inspiration for modern Islamism, so it comes as a bit of a shock to read how, in the pre-Islamist days of 1936, Matthews could write that "It is reassuring for the future of the Islamic East that the spirit of Ibn Taymiyyeh in milder form has taken possession of many leaders of the people." Apr. 24, 2009 update: Egypt's minister of awqaf (religious endowments), Muhammad Hamdi Zaqzuq, urges Muslims to go on pilgrimage to Jerusalem so as to reinforce the city's Muslim identity and assure its role as capital of a future Palestinian state. "Just as Muslims go on pilgrimage... to Mecca, they should also go to Jerusalem and to Al-Aqsa Mosque by the hundreds of thousands every year. We can show the whole world that Jerusalem is something that concerns all Muslims. ... I invite all Muslims... to go to Jerusalem, even with Israeli visas." If this proposition is followed through, he went on, "the whole world, and Israel, will have to accept this reality, which is that Jerusalem is for Muslims and they will not give up on it." Zaqzuq acknowledged that he is exposing himself to virulent attacks on the grounds that he seeks normalization with Israel and that his proposal has so far been widely rejected. Both Breger and Bell dismissed the claims of those who challenge Islam's connection to the site. Breger agreed, but implied that current Islamic claims that Judaism's Holy Temple was never built there are totally unfounded, noting that the Waqf itself published literature some decades ago boasting that the Dome of the Rock is on the site of the Holy Temple. At that point, Bell said, "It's very important to realize that it's beside the point whether these belief systems are historically valid or not... It's not up to me to tell you whether your narrative is valid or not..."
Breger similarly said that the argument that Jerusalem is not so holy to Islam is "a silly one." He said, "It's true that when Jerusalem was not under Islamic control, such as during the Crusader period, the British Mandate and under Israeli control, there was more discussion about Jerusalem in Muslim sources... but it's silly to say that it's not so holy to Islam, because you have to accept a religion's definition of what is holy." Comment: Silly? I wonder if Breger could provide a little more substance to his dismissive critique than to say we must accept as true whatever someone within a faith says about that faith. Thursday is the Jewish holy day of Tisha B'av (the ninth of the month of Av), which marks the destruction of the first and second temples, the ruins of which are believed to lie beneath the present-day Al-Aqsa Mosque and the golden Dome of the Rock Mosque. Oct. 20, 2010 update: Hagai Mazuz and Harold Rhode review this general topic in "Is Jerusalem Sacred for Muslims?" Al-Mutawakil Taha, the Palestinian Authority' deputy minister of information, had said Wednesday that the wall, regarded as Judaism's holiest site, was part of an Islamic waqf, or religious endowment, and that only "Islamic tolerance" allowed Jews to pray there. His claims drew immediate anger in Israel, which on Tuesday was echoed by the U.S.
"We strongly condemn these comments and fully reject them as factually incorrect, insensitive and highly provocative," a U.S. State Department spokesman said. "We have repeatedly raised with the Palestinian Authority leadership the need to consistently combat all forms of de-legitimization of Israel including denying historic Jewish connections to the land." The chairman of the U.S. House Committee on Foreign Affairs, Rep. Howard Berman (D-CA), also decried Taha's claim, calling it "provocative and inciteful". "I strongly condemn the [claim] that the Western Wall in the Old City of Jerusalem has no religious significance to Jews," Berman said. "President Abbas and Prime Minister Fayyad know the spiritual importance of the Western Wall to the global Jewish community," he said, calling on Abbas to denounce Taha's report and clarify that the remarks were not the official position of the Palestinian Authority. ... "To deny the Jewish connection to the Western Wall is to be deliberately provocative and inciteful, no less so than were one to deny the Palestinian connection to the Haram al-Sharif," Berman said. Dec. 1, 2010 update: U.S. government engagement made the difference, as the Palestinian Authority took down Taha's outrageous remarks from its website. Which makes one wonder why Washington does not condemn this sort of nonsense more often. Nov. 25, 2011 update: In the course of anti-Israel rally recorded on YouTube and focused on Jerusalem, a speaker announced that "Jerusalem is the heart of the Koran. Jerusalem is the heart of the Muslim world. Jerusalem is the heart of the Prophet's biography." Dec. 28, 2013 update: In April 2009, noted above, Egypt's minister of religious endowments urged Muslims to go on pilgrimage to Jerusalem to reinforce the city's Muslim identity and its role as capital of a future Palestinian state. Today, the Jordanian minister of tourism, Nidal Qatamin, urged Muslims and Christians to visit Jerusalem, as WAFA paraphrased him, "to break the Israeli control over it and to show support for its Palestinian residents who are fighting Israeli plans to displace them." Comment: These ministers may be focused on politics, but their urgings have religious implications. When the revolt against Assad erupted in Syria, Saudi Arabia refused to recognize the Syrian government's authority regarding the Hajj (pilgrimage) to Mecca and transferred that authority to the Free Syrian Army. This aroused fury in Damascus, and Assad's Syria took retributive measures that indeed brought the conflict between Syria and the Hijaz (a region in western Saudi Arabia) back to the Ummayad period (661-750), during which the Hijaz did not recognize the Ummayads and the Syrian army of the Ummayads saw fit to assault with catapults the Kaaba, the holiest structure in Islam which is situated in the courtyard of the Great Mosque in Mecca. All this was mentioned explicitly in an interview with the TV station of the Lebanese Christian leader Michel Aoun, who is associated with Hizbullah. On August 14, 2013, Fayez Shaker, head of the Syrian Ba'ath Party branch in Lebanon and a former Lebanese minister, said that if Mount Qasioun in Damascus were to be fired upon, Syria would blow up the Kaaba. The relevance of Jerusalem in this context emerged clearly with the publication of emails from Assad's office that were intercepted by anonymous hackers. At the time, in December 2011, Assad was preparing for a major speech. Meanwhile, the Muslim Brotherhood faction that is loyal to Assad (yes, there is such a thing) was preparing a campaign for the "liberation of Al-Aqsa" under Assad's aegis.4 One of the themes discussed for Assad's speech was that Jerusalem, not Mecca, is the proper direction of prayer (qibla) in Islam. Although in the end the theme was not included in the speech, it is likely to crop up again at some point. Inbari also points to other efforts to enhance Jerusalem at the expense of Mecca. Most surprisingly – or perhaps not – the undermining of Mecca's status as the prime pilgrimage site came from the Shiites in Iraq, allies of Assad. On December 23, 2013, the Iraqi-Shiite prime minister, Nouri al-Maliki, said the direction of prayer should be Karbala – the Iraqi city where the tomb of Mohammad's grandson, Hussein ibn Ali, is located – and not Mecca. Although this incensed the Sunnis, he did not retract his words. Al-Maliki's position is not, however, the only one among Iraqi Shiites. The Hizbullah Party of Iraq, which is the twin sister of Hizbullah in Lebanon, has sworn to wrest the holy places in the Hijaz from the Wahhabis and make them Shiite shrines. In the Sunni camp, as noted, the Muslim Brotherhood wants to make liberating Al-Aqsa the focus of the Arab turmoil with the ultimate goal of an Islamic caliphate, while the Salafis remain indifferent to this campaign. to establish a basis for the awareness of the "holiness" of Jerusalem in Islam, the Caliphs of the Umayyad dynasty invented many "traditions" [hadith] upholding the value of Jerusalem (known as fadha'il bayt al-Maqdis), which would justify pilgrimage to Jerusalem for the faithful Muslims. Thus was al-Masjid al-Aqsa "transported" to Jerusalem. Since the holiness of Jerusalem to Islam has always been, and still is no more than a politically motivated holiness, any Palestinian Arab politician would be putting his political head on the block should he give it up. June 5, 2016 update: If, as they say, imitation is the truest form of flattery, then a big thank you to Prof. Ephraim Herrara, author of "Jerusalem's true 'importance' in Islam," published in today's Israel Hayom. In it, he argues that "Jerusalem was noted for its importance in Islam ... when the city was ruled by non-Muslims." A map in one of the textbooks refers to the West Bank city of Ramallah as the "center of Palestine," while Jerusalem is referred to as a city that is located south of Ramallah. Critics argue that this terminology turns Ramallah, the headquarters of the Palestinian Authority leadership and government, into the de facto capital of the Palestinians. This, they add, undermines the Palestinian claim to Jerusalem as the capital of a future Palestinian state. "Why has Jerusalem been marginalized in the new textbooks?" critics asked. "This is indeed disgraceful!" Jan. 30, 2018 update: Ahmed Subhy Mansour of the Quranist movement has written The Falsehood of Al-Aqsa Mosque of Jerusalem (translated into English by Ahmed Fathy; Arabic original: كتاب اكذوبة المسجد الأقصى فى القدس) where he argues that the real Al-Aqsa is Mount Al-Tur in the Sinai peninsula of Egypt. Oct. 2, 2018 update: The Egyptian intellectual Youssef Ziedan stated, according to the Jerusalem Post, that "the phrase 'al-Aqsa' refers to a mosque on the outskirts of the city of Ta'if, west of Mecca. He bases his hypothesis on the teachings of the ancient Muslim historian Al-Waqidi."